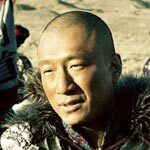 Sun Hong-Lei has quickly become one of the most dynamic and versatile actors to emerge from the Mainland in recent years. 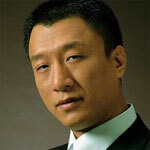 He was born on August 16, 1970 in Harbin, where he developed an interest in performing at a young age. Often skipping school to learn breakdancing on the streets*, Sun eventually gave up his studies entirely to pursue dancing and performed with a modern dance troupe for a couple of years. He later became a popular local nightclub singer and host before setting his sights on acting. 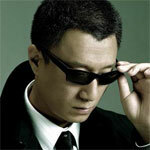 In 1995, Sun attempted to get into the famed Central Academy of Drama (the alma mater of the likes of Gong Li, Zhang Ziyi and Jiang Wen), but was told by the instructor that he was too fat. He was finally accepted after he lost 18 kg in one month by running 25 laps a day around the academy fields. Sun graduated in 1997 and has since gone on to star in numerous TV dramas and films and has won many awards for his stage work. *This actually paid off when he won at the first ever Heilongjiang province-wide breakdancing competition. Sun later entered the national competition and took home second prize.